The Cork LGBT Archive will now be preserved and disseminated in the DRI, which is a trusted national infrastructure for Ireland's social and cultural heritage. News 6 February, 2019 . Written by Katie Donohoe. The Digital Repository of Ireland (DRI) announced that Cork LGBT Archive are the winners of the first DRI Community Archives Scheme. As a largely public-funded repository, they believe in the importance of the long-term preservation of digital materials open to a wide range of organisations, including those operating on a non-funded, voluntary basis. To the end, they launched a Community Archives Membership Scheme. As the winner of the first Scheme, Cork LGBT Archive will be granted a year’s free associate membership for the year 2019. Poster for 1982 Gay Pride celebration in Ireland. “We received several excellent applications, and it was difficult to select one winner. Our judging panel considered the Cork LGBT Archive to be a collection of considerable social relevance, not only for LGBT community activism but also for other social change movements and Irish history in general. Cork has a long and rich history of LGBT+ activism, community formation and development. Since at least the 1970s LGBT+ people in Cork have forged communities, established organisations, set up services and reached out to others. As well as campaigning for LGBT+ rights and providing services and supports to LGBT+ people, the LGBT+ community has played a vital role in movements for social justice and political change in Cork. Yet this community, like many other LGBT+ communities worldwide, has been largely invisible in historical accounts and its contribution to social and political change and developments largely unacknowledged. “The Cork LGBT Archive is delighted to have been selected as the winner of the first DRI Community Archives Scheme! This is an important acknowledgement of the importance of preserving Irish LGBT history and heritage and of including lesbian, gay, bisexual and transgender history in the Digital Repository of Ireland. It is important that the DRI’s collections reflect the diversity of Irish society and that the DRI helps to preserve and display previously hidden histories and heritage. “Inclusion in the Digital Repository of Ireland is very important for small unfunded community archives, like the Cork LGBT Archive, who do not have the resources to develop our own complex digital preservation processes. The DRI has the resources and expertise to develop comprehensive preservation policies and practices. 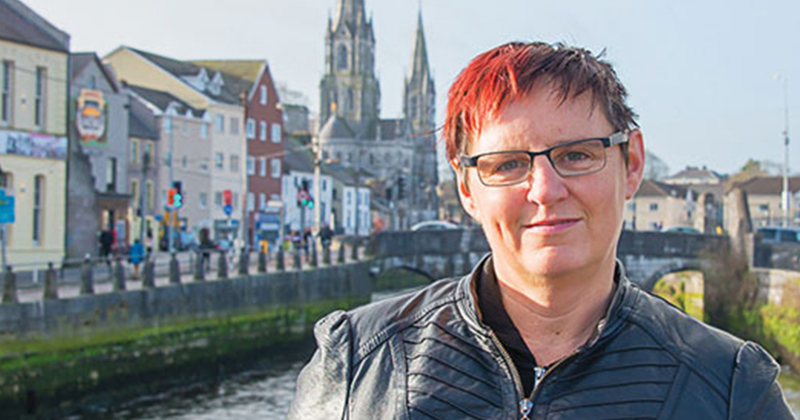 For community archives, like the Cork LGBT Archive, this provides the best option for ensuring the long-term digital preservation of our collections. 6 February, 2019 . Written by Katie Donohoe.